Snook fishing in the early mornings will bring some rod bending action as they head up on the flats for an early morning or late evening meal. Top water lures (like the new DOA PT-7), Baitbusters and DOA shrimp are all great lures to tempt a snook into biting. We have been broken off numerous times by big snook under the mangroves. Docks will also hold snook lurking around for an easy meal. Live shrimp is hard to beat around the docks. 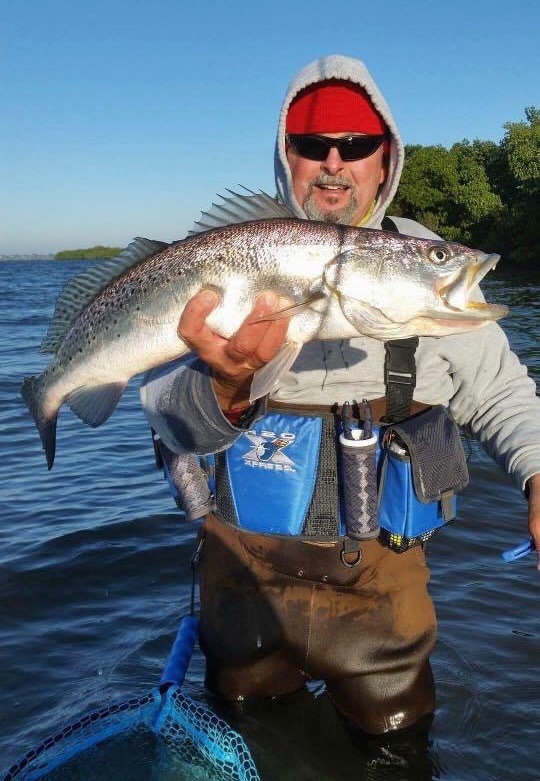 In the inlet areas, try around the seawalls and bridges with live bait, Terror Eyz, feather jigs or deep diving plugs. I love early morning for great snook fishing opportunities! Snook season will close May 31st.